While most of the Android users are running Froyo on their devices, some running Gingerbread and some others getting ready for Ice Cream Sandwich that Google recently announced at their I/O event, there are few unlucky souls who are still stuck on Android 1.6 Do… Do… what was it again? Oh yes, Donut. Some of these unlucky souls include owners of the Sony Ericsson Xperia X10 in US on the AT&T network. But Sony Ericsson has a heart. It heard the pleas of all these people who were crying for the latest version of Android on their device. And so they decided to take action. What have they done? Well, they released Android 2.1 update for the Xperia X10. 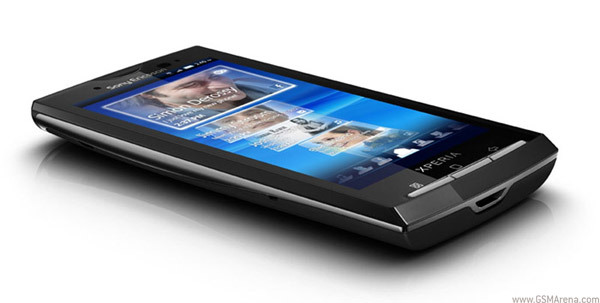 Yes, in a move straight out of 2010, Sony Ericsson has provided the 2.1 update to the X10 owners in the US. Poor souls! The Xperia X10 has been running on 2.1 on unlocked devices for quite some time now and Sony Ericsson has even promised a Gingerbread update later this year for the unlocked phones. This makes us wonder what took Sony Ericsson so long to update the AT&T devices with 2.1 and whether or not they plan to provide Gingerbread later when it is made available to the unlocked X10. The best thing that can be said about this is that hey, at least you will no longer be running Do… what’s that thing again? Damn, I keep forgetting that.